Sunday 1st June 2014 saw the Karrimor Great Trail Challenge at Keswick incorporating the International Home Counties Elite Races where Helsby phenomenon Jayne Joy ran her first race in an England vest. Jayne’s rise from Helsby vest to county vest to International vest has been sublime and it’s great we can all be a part of that at Helsby. The sun shone in Keswick and Jayne had possibly her greatest race yet to finish 3rd lady in a very impressive field which took in Latrigg fell. Jayne also helped secure the team win for England against the other home counties. Jayne’s next official outing in the George Cross is at Whinlatter, also Keswick, in two weeks. 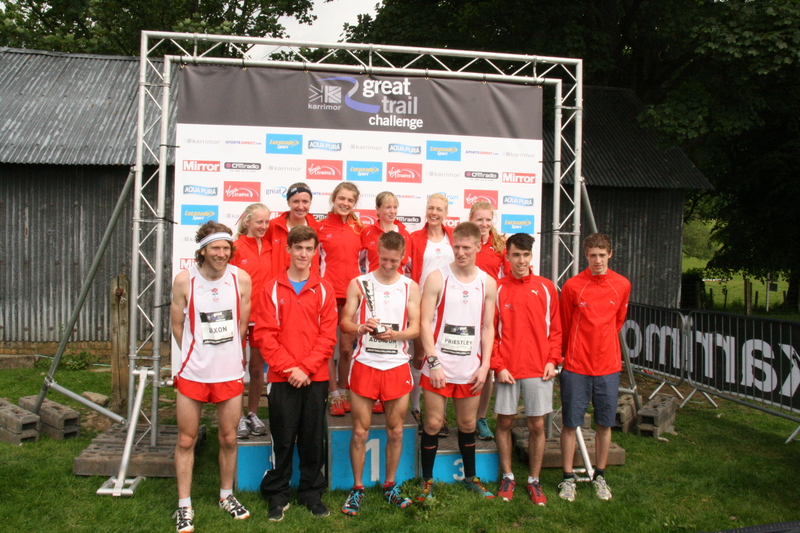 This entry was posted in Fell Running and tagged England Team June 2014, Karrimor Great Trail Challenge, Keswick. Bookmark the permalink. There will be a film about Jayne soon i’m sure! Absolutely superb news. I wish I had half her talent and twice her modesty.